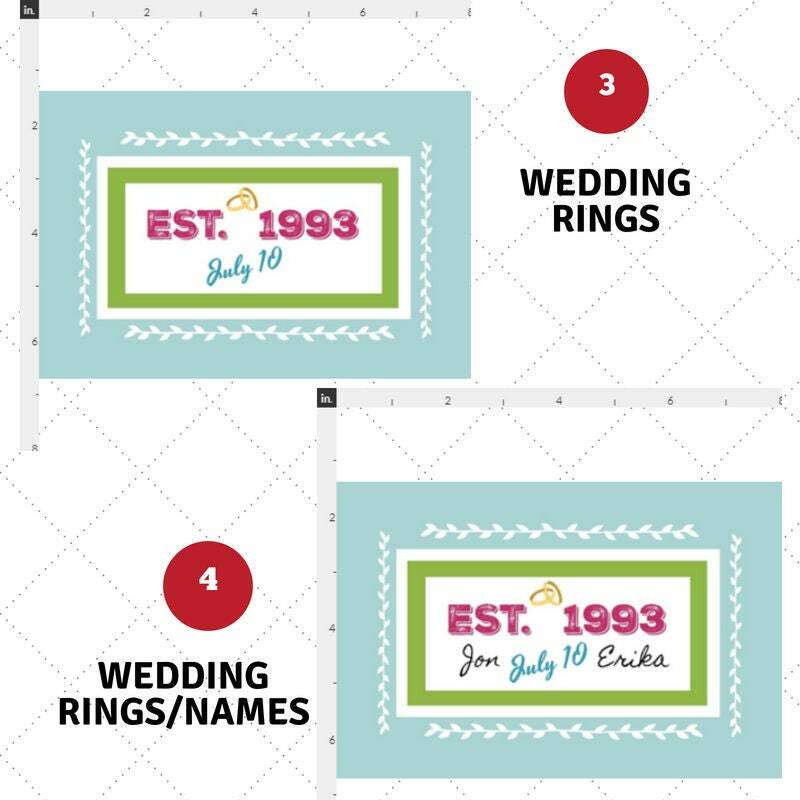 Add a sweet personal touch and that WOW to any project with a custom "ESTABLISHED" - Wedding / Anniversary quilt square! Colorful addition to any DIY project and make your creation extraordinary! Select your fabric from several styles -from Kona cotton to minky to faux suede and more - to suit your DIY project perfectly! 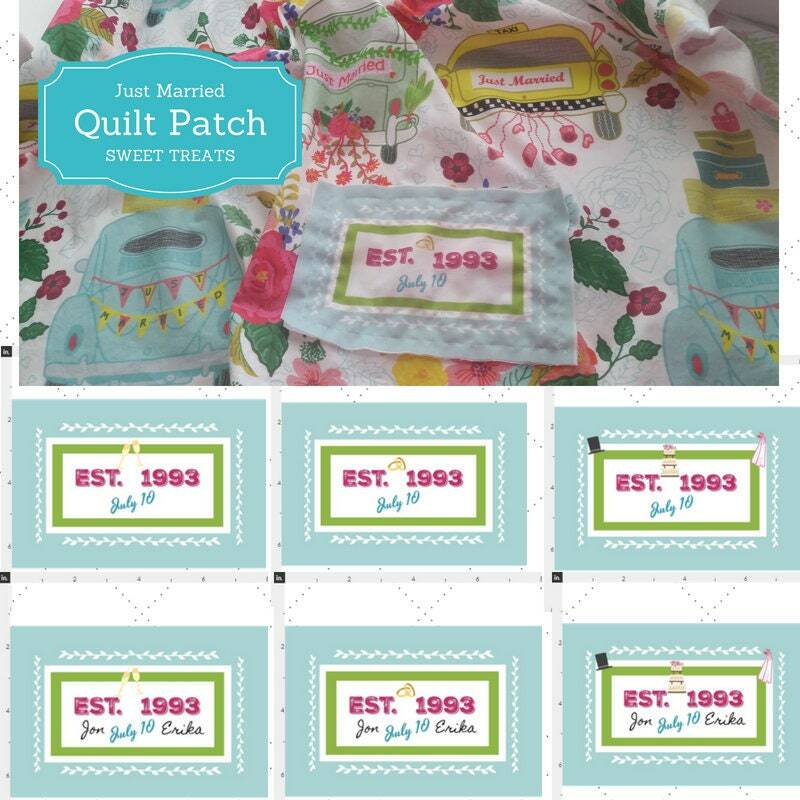 *** Add a personalized patch to your quilt for the sweetest wedding or anniversary gift! 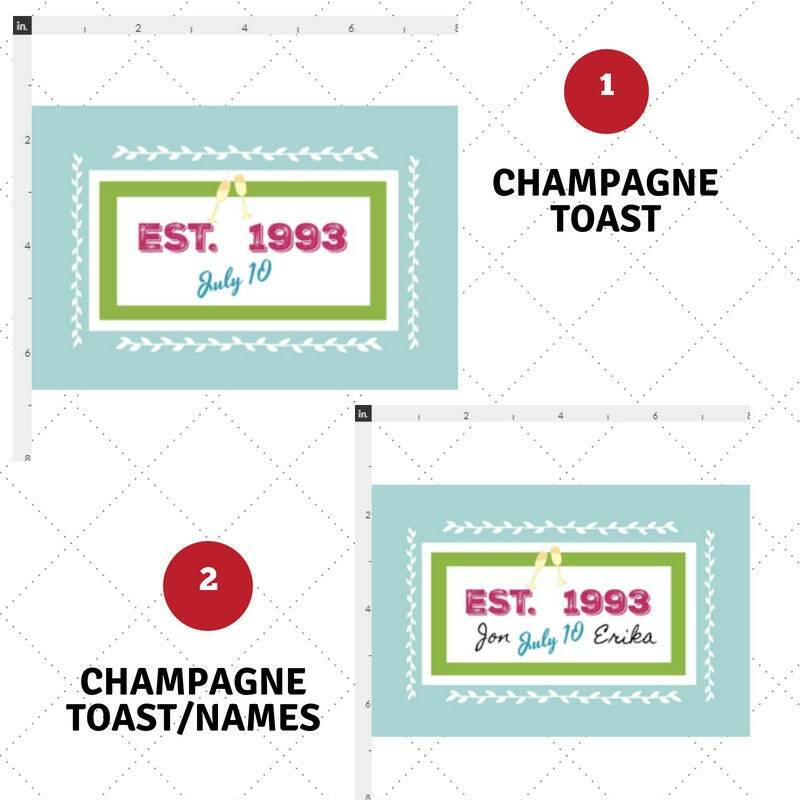 *** Price savvy way to personalize a wedding /anniversary quilts. 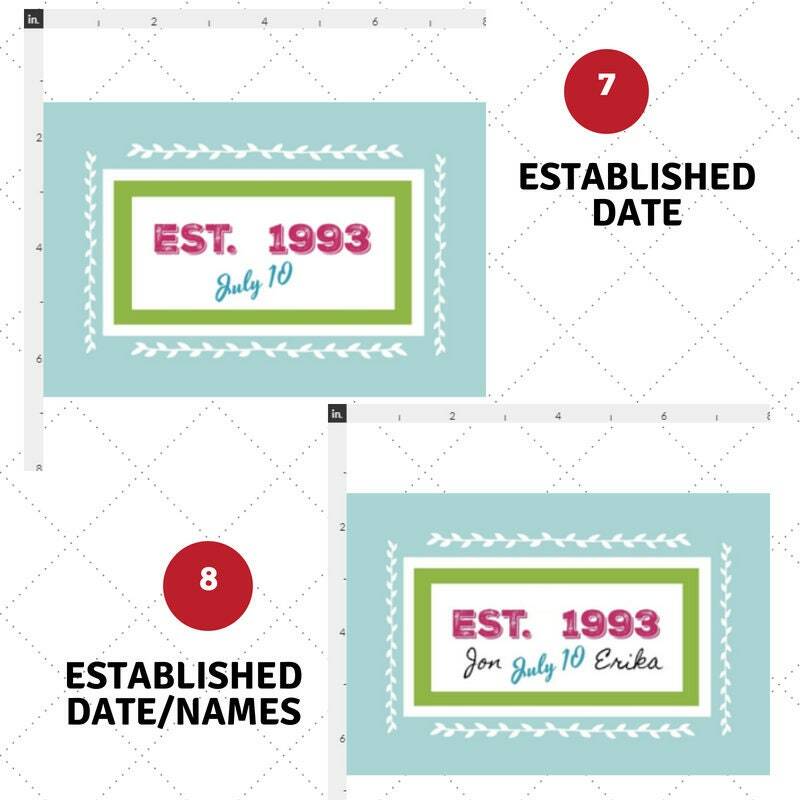 *** Add on a tote or pillow case for a personalized touch. *** Add on a tee as a pocket piece and turn a plain tee into a fun fashion piece. 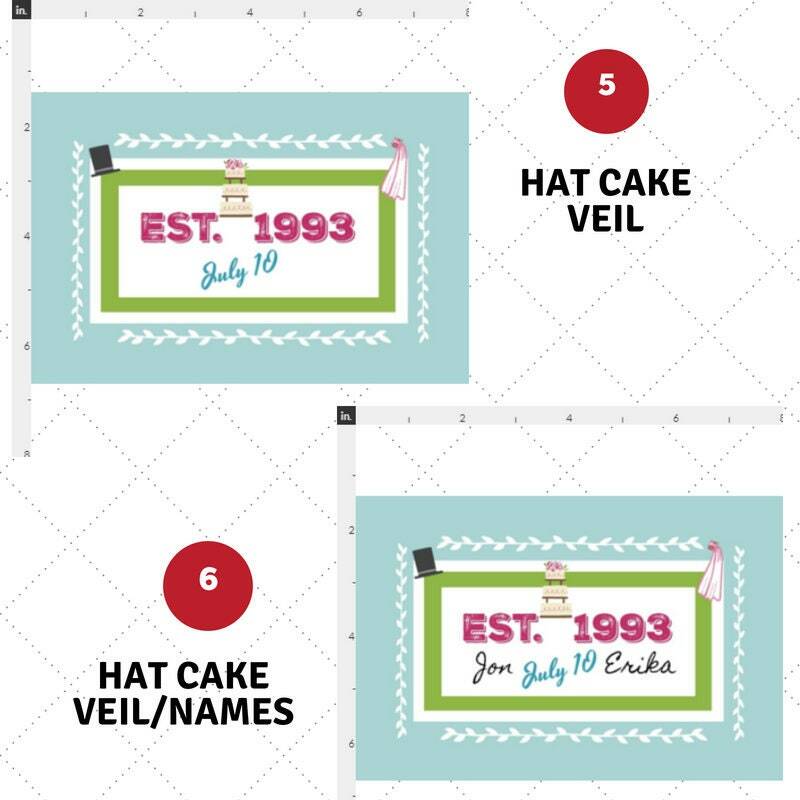 Please allow 10 - 14+ days to ship since all of our designs are made to order prints in your specific fabric selection - definitely worth the wait! We do not accept returns on customized items - all sales are final.